Cramer & Anderson Partner D. Randall DiBella will join other Connecticut Freedom of Information experts for the featured panel discussion April 27 at the Freedom of Information Annual Conference. The conference is sponsored by Connecticut Freedom of Information Commission, Connecticut Foundation for Open Government, Connecticut Council on Freedom of Information, and Connecticut Society of Professional Journalists. It will be held at The Riverhouse at Goodspeed Station in Haddam, Conn.
Attorney DiBella, whose Municipal Law practice includes advising municipal officials on FOI matters, will be joined for the panel discussion by NBC 30 News investigative reporter Jill Konopka, and Nancy R. Rossi, the mayor of West Haven. Attorney Mark J. Sommaruga, a Partner with Pullman and Comley, LLC, will moderate the discussion. Colleen M. Murphy, Executive Director and General Counsel of the state’s Freedom of Information Commission, opens the conference with a welcome and introduction, and U.S. Sen. Chris Murphy will welcome guests via a video link. State Comptroller Kevin Lembo will give opening remarks before a series of issue-oriented breakout sessions leading up to the panel discussion. Among the highest rated lawyers in Litchfield County, Attorney DiBella has received a rating of AV Preeminent® in the Martindale-Hubbell® Peer Review Rating™, which reflects that fellow attorneys consider him at the highest level of professional excellence. 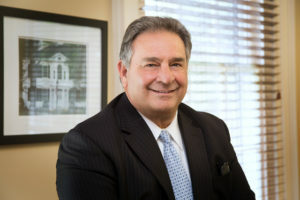 Attorney DiBella, whose Practice Areas include Personal Injury, Civil Litigation, Land Use & Environmental Law and Municipal Law, works primarily in Cramer & Anderson’s flagship office in New Milford and lives in Litchfield. Attorney DiBella was recently honored with a statewide Best Mentors honor as part of the Connecticut Law Tribune’s 2018 Professional Excellence Awards. He is joined on the list of winners by Partner Dan Casagrande, who won the Giant Slayer award, and Attorney Christopher Sochacki, who won a Distinguished Leaders award. This year’s honorees will be recognized at a May 24 awards dinner at the Bond Ballroom in Hartford. Partner John Tower won a Distinguished Leaders award in 2017, and the same year Attorneys Abigail Miranda and Josh Weinshank won New Leaders in the Law awards. 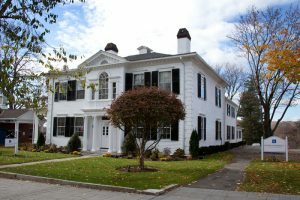 Cramer & Anderson has offices in New Milford, Danbury, Litchfield, Kent, and Washington Depot, as well as a new office in Ridgefield, serving Fairfield County. For more information, see the website at crameranderson.com or call the New Milford office at (860) 355-2631.